Every day I am surprised when I ask clients and filmmakers if they know how "X director" or "Y producer" made "Z film" and the answer is "no." I am surprised because anyone who has been in the trenches long enough will tell you how hard it is to make a film. It's hard to come up with an idea worth writing. It's hard to write a script worth raising funds for. It's hard to raise funds for a film worth directing. It's hard to direct a film worth editing. It's hard to edit a film worth distributing. It's hard to distribute a film worth marketing. And it's hard to market a film against all other competing forms of art and entertainment. PERIOD. So acknowledging the difficulties, doesn't it make sense to study how successful directors, writers nd producers made it? Hence, the quote above. The people excelling at what you are trying to do are the Scorceses and Tarantinos and Iñárritus and Duvernays of the world. So why not study their methods*, and, at a minimum, gain some tips on how they produced their work. With that concept in mind, I'd like to regularly update this section with clips that answer the question how did he or she write it, produce it or fund it. * By "methods," I mean the way they developed, produced and funded their projects, I am not saying copy their directing methodology or their filmmaking style. 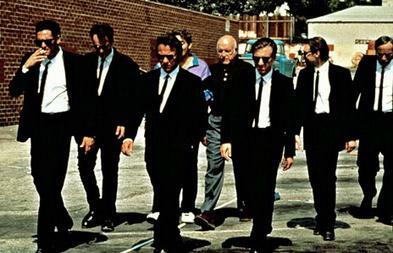 Today's question: How did Quentin Tarantino get the money to make Reservoir Dogs. Quentin Tarantino had been working at Video Archives, a video store in Manhattan Beach, California, and originally planned to shoot the film with his friends on a budget of $30,000 in a 16 mm black-and-white format, with producer Lawrence Bender playing a police officer chasing Mr. Pink. Bender gave the script to his acting teacher, whose wife gave the script to Harvey Keitel. Keitel liked it enough to sign as a co-producer so Tarantino and Bender would have an easier job finding funding; with his assistance, they raised $1.5 million. Keitel also paid for Tarantino and Bender to host casting sessions in New York, where the duo found Steve Buscemi, Michael Madsen, and Tim Roth. Keep honing your craft (in writing, acting or filmmaking) by taking courses. Develop good relationships with people who know people that can get your film funded. Most importantly, write a script with juicy lines and stories that gets people who know people to show your script to them.